Sarah Tancred grew up in southeastern Ohio surrounded by nature and cornfields. She received a BFA in ceramics from Bowling Green State University in 2008. Following her graduation, she completed a residency at St. Petersburg Clay Company in Florida where she exhibited artwork and taught pottery classes. She then studied at the University of Florida as a post-baccalaureate student. 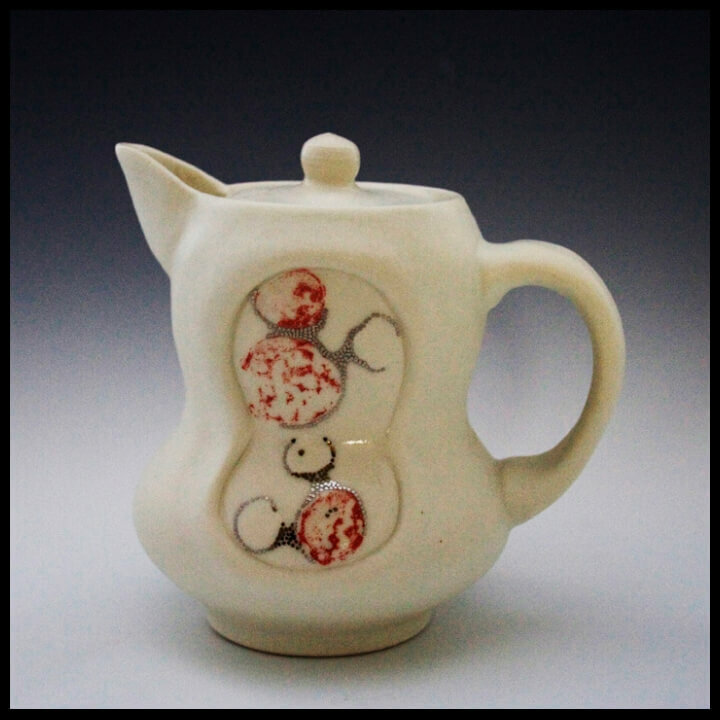 Sarah is currently pursuing an MFA in ceramics at the University of Montana. I strive to treat my ceramic artwork as if they are objects of sentiment to the user. The idea that a hand-made object can remind someone of a specific person, place, or time in his or her life is exciting to me. I create porcelain, utilitarian vessels that are intimate in scale to invite the viewer to investigate them more closely. Detailed surface design is used to draw the viewer in. I reference images of bone marrow, arteries, and heart valves, which are selected and applied onto my pottery. Microscopic images derived from within the human body interest me. I am drawn to various microscopic imagery, specifically the detailed, complex imagery that exists within the confines of a simple geometric shape. This imagery not only references the body; it becomes personal. The use of smooth, satin glazes is intended to evoke touch. My interests ultimately lie in wanting the viewer to desire my pottery for everyday use.